Mt. 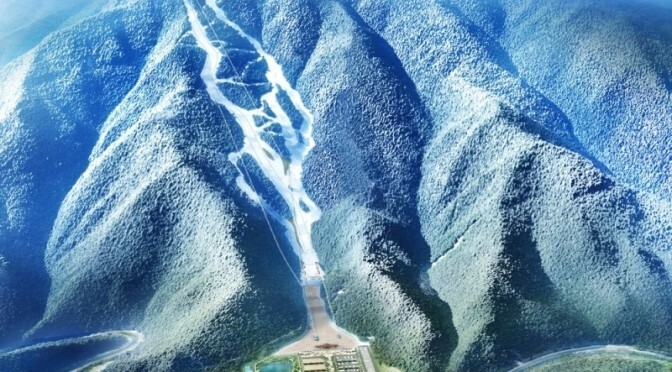 Gariwang, South Korea – South Korea’s Olympic organizing committee has drawn the ire of environmental groups for allegedly destroying tens of thousands of trees in a sensitive 500-year-old virgin forest to create ski runs to be used the 2018 Olympic Winter Games at PyeongChang. 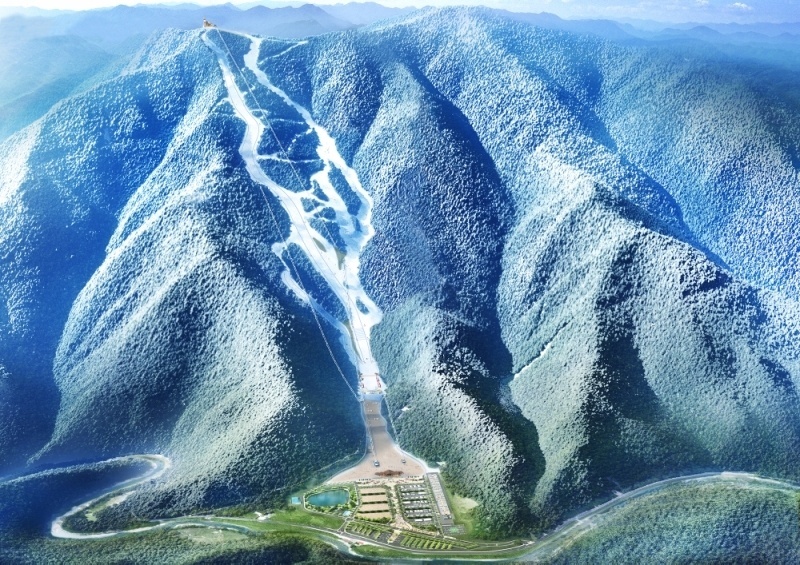 Games officials indicate that the Jeongseon Alpine Centre on Mt. Gariwang was the only place in Kangwon Province in the country’s northeast where runs that conform to International Ski Federation (FIS) standards for the speed events of Downhill and Super G could be constructed. They also point to a 30% reduction in the area to be cleared to 57 acres by combining the men’s and women’s courses, construction methods that minimize soil disruption, and promise to replant over 1,000 trees once the Games are over. Critics, however, contend that the events could have been held on existing ski runs at nearby Yongpyong. Simone Lovera, director of the Global Forest Coalition, argues that the FIS should have accepted shortened courses in the 2018 Games to balance the site’s environmental sensitivities. They claim irreparable harm to four significantly endangered species on Mt. Gariwang, including Eurasian otter, lynx, marten and flying squirrel. The sacred mountain site is also said to have connection to the Chosun Dynasty, the country’s last royal dynasty that ruled Korea for over 500 years until 1897. In the 15th century Mt. Gariwang was designated a “forbidden mountain” and used to grow ginseng exclusively for the king. Opponents claim to have located on the site a giant oak that they believe to be the oldest still alive in the country. They further believe that chemicals used in snowmaking will permanently scar the forest. They also don’t accept the assurances from the organizing committee regarding replanting trees, believing that the Jeongseon Alpine Centre will become a permanent ski area following the Games in an attempt to recoup the initial investment. The South Korean government lifted official protection of the forest site in 2013 to allow for the venue construction. Final site selection for the 2018 speed events was ultimately made by the Korean Forest Service. Shortly after that decision, Kijun Kim – a member of the Uiryong people opposed to the ski run construction – launched a one-man demonstration in Seoul to protest the plan. Opposition voices, however, didn’t gain much media traction until recent days as forest clearing has neared completion.